Byzantine currency consisted of mainly two types of coins: the gold solidus and a variety of clearly valued bronze coins. This category covers coins struck for the East Roman Empire from Justinian I and until the fall of Constantinople in 1453. Early Byzantine coins feature the head of the Emperor, now full face rather than in profile on the obverse, and usually a Christian symbol on the reverse. 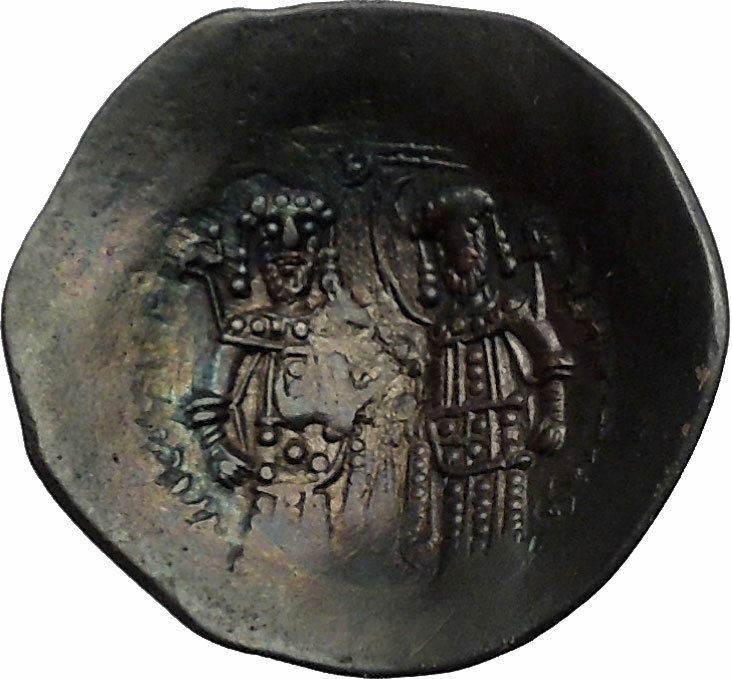 In the 10th century, so-called "anonymous folles" were struck instead of the earlier coins depicting the emperor. The anonymous folles featured the bust of Jesus on the obverse and the inscription "XRISTUS/bASILEU/bASILE", which translates to "Christ, King of Kings".